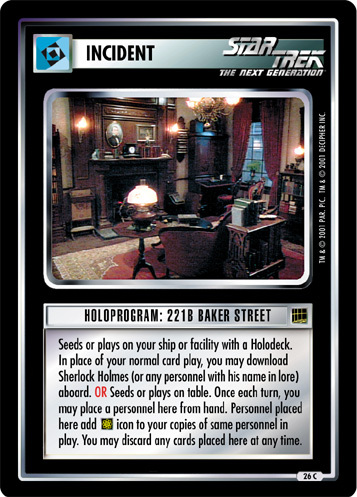 Seeds or plays on your ship with a Holodeck. 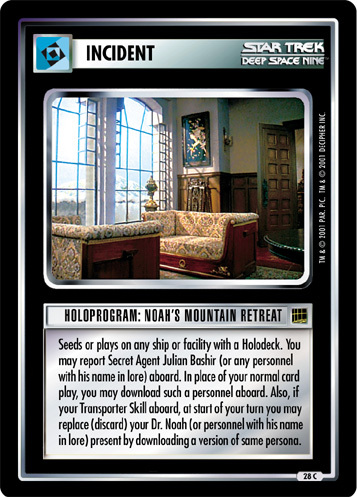 Sheriff Worf and Deputy Rozhenko may report aboard. 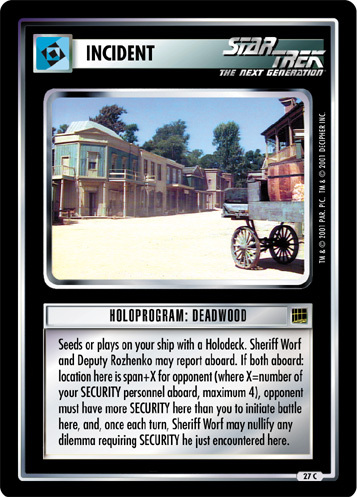 If both aboard: location here is span+X for opponent (where X=number of your SECURITY personnel aboard, maximum 4), opponent must have more SECURITY here than you to initiate battle here, and, once each turn, Sheriff Worf may nullify any dilemma requiring SECURITY he just encountered here.